Rip's Bar - Welcome CABOHOLICS! 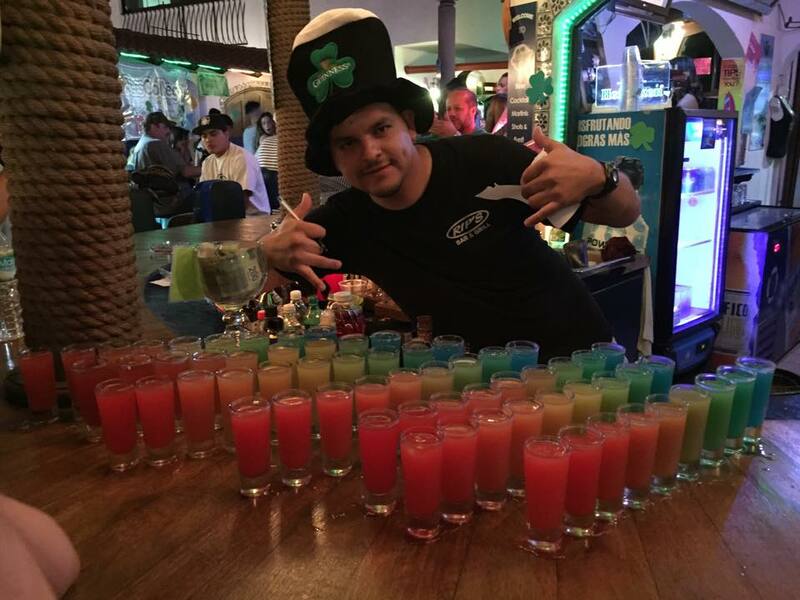 A visit to Cabo is not complete until you stop in at the home of he World Famous Rainbow Shots! A great little bar in the middle of town - the perfect location to in and quench your thirst during a shopping or sight seeing! When the sun goes down, this laid back little outdoor bar comes to life! Daily Drink Specials! A large selection of Ice Cold Beer! Exclusive Caboholic Offer - $1.00 Pacifico or Corona from 10am - 6pm Everyday! right outside the rear entrance ​to Cabo Wabo.